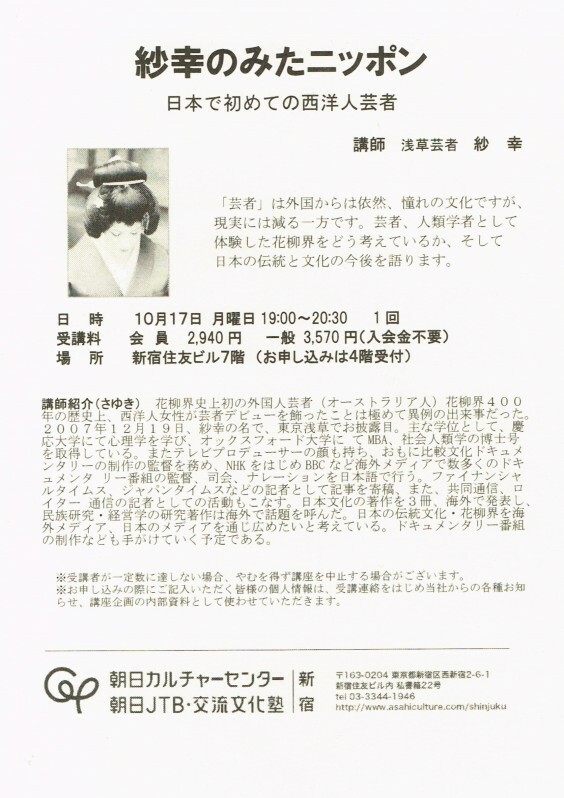 In 2011 October 17th, Sayuki had a public talk in Shinjuku. She shared her thoughts on the flower and willow world of geisha as seen through first hand experience and from an anthropologist viewpoint. She also spoke of the future of Japanese tradition and culture.